JJ Valaya celebrated 25 years of being in the fashion industry by showcasing his latest collection at Amazon India Fashion Week S/S 2018. 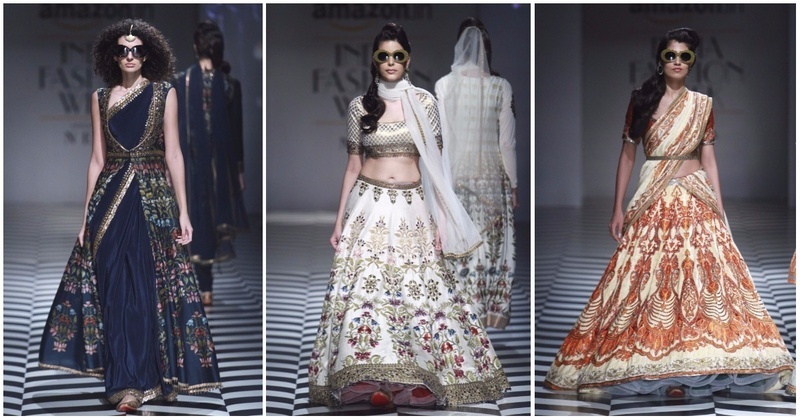 The designer, often called the ‘Monarch of Indian Fashion’, is known to work exceptionally well with bridal and occasion wear using a range of embroideries and stellar silhouettes that always have a regal aura around them. This collection was no different. In Gulistan, the ensembles were inspired by the beauty of florals (Valaya’s personal favourite) along with a strong colour palette. The focus was more on prints than embroidery. Jamavar was about Indian paisleys and detailed motifs, all with a modern, contemporary side to it. The garments in Punjab represented the royal court dressing of the Maharajas of Kapurthala.